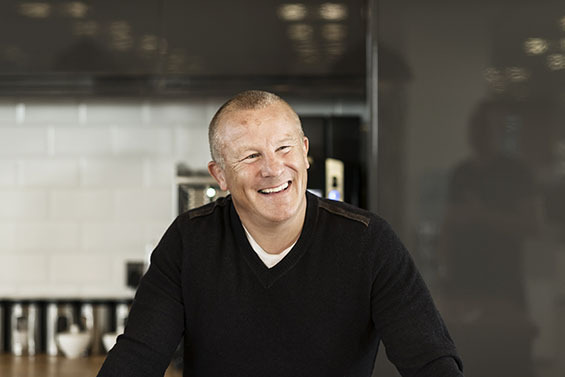 Neil Woodford has been the subject of “excessive criticism” over the recent performance of his listed holdings, says Seneca’s Richard Parfect. Parfect revealed to Morningstar.co.uk he recently bought Woodford Patient Capital Trust (WPCT) for the portfolios he manages at Seneca Investment Managers. He also participated in the November IPO of Merian Chrysalis (MERI), as he looks to rebuild the private equity segment of his portfolios that disappeared when long-term holding AJ Bell (AJB) floated. Woodford has been slammed over recent performance, particularly his open-end funds, Woodford Equity Income and Woodford Income Focus. That has had a knock-on effect on Patient Capital, despite recent improving news flow and stronger net asset value (NAV) performance. While the share price continues to hover around 86p having bottomed at 72p in October – well below April 2015’s 100p offer price – the NAV has not dropped below 94p since September. As a result, the trust’s discount to NAV has thrown up some attractive entry points. Parfect's LF Seneca Diversified Growth and LF Seneca Diversified Income funds invested at around a 15-17% discount late in 2018. That has recently narrowed to around 11% today. Parfect notes there has been more positive news coming out of WPCT’s investee companies. This includes the successful listing of top holding Autolus Therapeutics (AUTL) on NASDAQ at $17 in June last year. Proton Partners, a Wales-based proton beam therapy provider, has begun rolling out its cancer centres across the UK, too. In fact, Woodford’s recent pain has very much been confined to his open-end funds; the closed-end vehicle has been his source of gain. Despite the criticism, Woodford is still well-regarded by UK plc, Parfect adds. “Whereas some people would say it’s a brave move investing in Woodford now, I would say that actually it’s a perfectly logical outcome from our investment process of being value investors and being greedy when others are fearful,” Parfect explains. “Clearly, we’re aware of Neil Woodford and observe with a wry smile some of the excessive criticism that he gets. Seneca is not the only institutional investor backing Woodford Patient Capital. We reported late last year that Peter Hewitt, manager of the BMO Managed Portfolio Growth Trust (BMPG) and long-term backer of WPCT, recently topped up his holding. Parfect, too, invested at IPO, but has had a much more positive experience with Woodford. In fact, having bought at flotation for its Diversified Growth fund, Seneca began to sell just four months later when the trust rapidly shot to a premium to NAV. By October 2015, Parfect had completely exited his position at a premium of between 8% and 15%. At the time, the NAV hadn’t made much progress and the Woodford euphoria “was getting ahead of itself”. Indeed, many original investors probably didn’t appreciate the “J curve” that private equity investments tend to follow. That is, where returns fall initially before picking up once companies begin to mature. Almost four years on, “that euphoria has turned into, for want of a less strong word, hatred”. But the portfolio is growing. “From following the news flow and doing our due diligence, it’s quite clear that there was a tangible improvement from the investee companies through 2018,” he adds. Seneca invested directly in Andy Bell’s firm back in 2005 but sold down half of its stake as part of the investment platform’s IPO in early December. It still holds the rest of the stock, but it’s now moved into the listed part of the portfolio. That freed up room for more private equity holdings, although Parfect says he would have been happy to have zero exposure to the asset class if needed, particularly considering where we are in the business cycle. Indeed, he does not like the pure-play listed private equity vehicles, “because they’re not really adding any extra value”. But, in Woodford and Merian, he saw a couple of exciting opportunities, adding into its portfolios across the board at small, 1-1.5% positions. Merian Chrysalis, run by Richard Watts and Nick Williamson, invests in companies at a later stage in their development, so Parfect says the combination of the two trusts gives him “a barbell strategy”, ie. exposed to both short and long-term timescales.